he human spine is exceedingly complex. It combines a framework of interlocking bones and joints (the vertebral column), which in turn contains and protects the delicate spinal cord and nerves. In addition, the spine contains important ligaments, discs, and blood vessels. Problems related to any of these structures can cause pain, numbness, weakness, or loss of function. Joints can succumb to wear and tear (arthritis of the spine), discs can herniate, ligaments can fail, bones can break, and the spinal cord or nerves can get compressed (pinched nerve). Any of these anatomical parts can harbor tumor growth. There may also be problems with the blood vessels in and around the spine, or an infection could set in. Certain symptoms can distinguish one spinal condition from another. It is important to understand what related symptoms are expected with each spinal condition. North Jersey Spine Group treats patients, not MRI scans. X-rays and MRIs are important when diagnosing spine conditions, but they tell only a small part of the story. An abnormality on an MRI does not necessarily mean it is causing a problem or requires treatment. All too often, less experienced spine specialists or spine surgeons will treat abnormalities on a scan that do not fit with the patient’s symptoms. This results in poor outcomes that give spine surgery a bad reputation. The spine is complex and therefore conditions can occur in a myriad of different ways. Proper diagnosis of a spine condition requires a thorough understanding of all aspects of the spine, not just the bones and joints. But most importantly, it requires careful attention to what a patient is saying. Back pain and neck pain cannot be measured, like temperature or blood pressure, which makes it a challenge to identify it’s origin and intensity. Only after listening to the patient, and performing a detailed physical examination, can a spine specialist properly understand an MRI or x-ray. The findings on a radiograph are used in conjunction with each patient’s history and physical exam to ensure the correct diagnosis. Only neurosurgeons have the expertise to evaluate and treat all aspects of the spine. No other specialty has the training to do so. 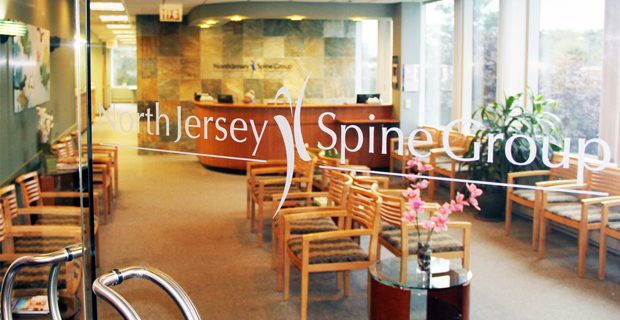 North Jersey Spine Group offers multiple convenient locations throughout northern NJ. With facilities in Bergen County, Passaic County, Essex County, Morris County, Sussex County, and Hudson County, patients from nearby towns including Ridgewood, Jersey City, and Sparta, NJ have convenient access. 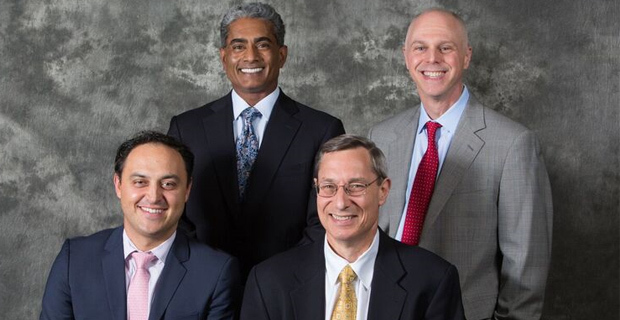 The team at North Jersey Spine Group provides spine care from minor conditions that respond well to conservative treatments, to more serious conditions that may require complex surgery. Spinal cord injuries occur from various traumas to vertebrae, discs or ligaments. The natural aging process, the structure and function of the spine begin to deteriorate. A disc disorder usually occurs through injury, accident or aging. It is when the spine does not align properly that spinal deformities result. Back pain can arise from three distinct types of spinal and nerve tumors. Each type of brain tumor is unique with signs and symptoms. Can be clinically classified as a condition or disability affecting any of the five senses. Often more than one surgery is necessary to correct a spinal condition. The team of North Jersey Spine Group understands each sign and symptom from mild conditions to more serious spinal conditions.